Some serious bank is being made here. 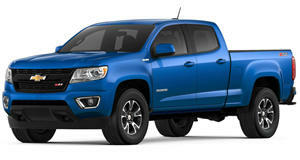 It was considered something of a gamble from the get-go but GM was willing to take a big chance on the redesigned Chevrolet Colorado and its GMC Canyon sibling. Both Ford and Ram backed out of the mid-size truck market with the discontinuation of the Ranger and Dakota, respectively. 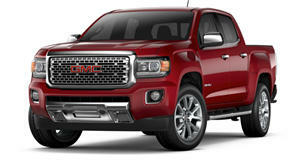 That left the Toyota Tacoma and Nissan Frontier to contend with, and GM knew both were vulnerable. According to a report from Automotive News, just one year after the Colorado and Canyon hit showrooms, sales have hit 95,000 units and the year isn’t over. To give you an idea just how much of a hit GM has on its hands, IHS Automotive estimated a total of 81,000 sales for all of 2015. What’s interesting is that many Colorado/Canyon buyers not only never owned a pickup before, but more than one-third are trading in cars, crossovers and SUVs. The average Colorado transaction price is $31,800 while the Canyon’s is $34,100. The percentage of buyers from other brands, called the conquest rate, is 56 percent for the Canyon and 50 percent for the Colorado. And the Colorado’s biggest conquests? The Tacoma and Ford F-150. Nearly 40 percent of Colorado’s are being accessorized with bike racks and other outdoor gear, generating even greater profits. And the best part of all of this for GM? Sales of the Chevy Silverado remain scorching hot, with a 15 percent increase through September. In other words, a mid-size truck offering isn’t hurting full-size truck sales. And now GM is laughing all the way to the bank while Ford and Ram realize their mistake.